Another entry for WMC #62. The lighting is not the best but I hope you like it. Oh Tracy I really like this one...nice job! 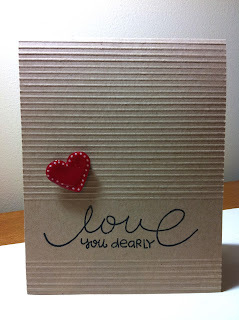 What a lovely CAS - I love the neutral colors with the punch of red with that darling heart. Wonderful card! Thanks for playing with us at Wee Memories Scrappy Saturday Challenge!